Far more sketchy: The Apple Watch 2 is said to include GPS for accurate workout logging without the need to carry an iPhone, and the Workout app reportedly will gain the ability to track swimming -- suggesting a higher level of waterproofing in the next Apple Watch. Now, keep in mind that Apple will likely make the Apple Watch 2 water-resistant, but that making the device "waterproof" as we think of it is impossible. After all, the smartwatch would have to resist water in every situation in order to be waterproof (and that's impossible). With water resistance, it would be nice if Apple would emerge with a cellular-connected Apple Watch 2 so that swimmers could take their smartwatch in the water and track swimming right on the wrist without the need of an iPhone nearby. 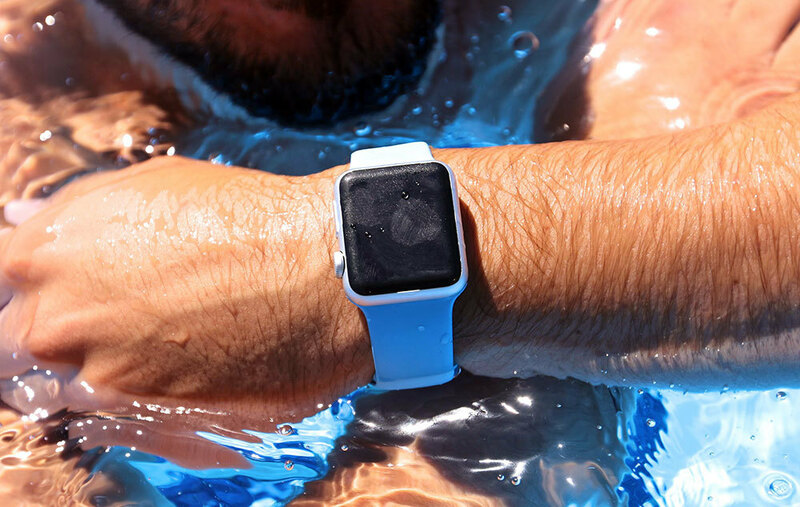 With the possibility of swim tracking, it appears as though Apple is working to make its smartwatch more athlete-friendly and sport-friendly than ever before. Cupertino wouldn't be the first on this front, though, with swim tracking, seeing that Misfit and Speedo launched the Misfit Speedo Shine 2 recently that tracks swim strokes and laps. The source above believes that these GPS and water resistance rumors are sketchy, but I see benefit in Apple making the Watch 2 water-resistant. For one, it is a "watch," a wrist wearable, that is meant to be worn no matter the element; the real question is why wouldn't Apple make a water-resistant wrist wearable for swim athletes. Next, having a water-resistant Apple Watch 2 would allow athletes of all stripes the opportunity to play in the rain -- as would be the case for average consumers who aren't so athletic-minded.